The Big Idea: Remembering happy times together helps comfort kids during the difficult ones. Cut apart the “Memory Chain” strips. Help kids write or draw a memory on each one. 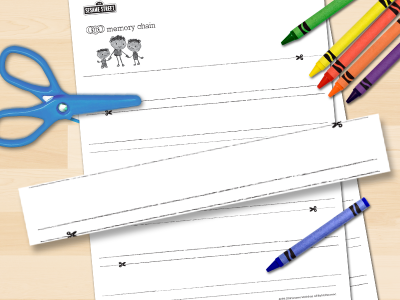 Link the strips by looping them to one another, using tape to create a chain of memories. Hang up the memory chain, adding new memories and occasionally reading through them together.